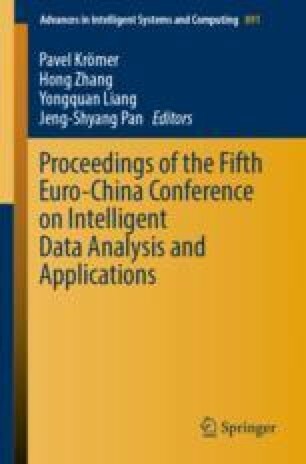 A novel LBG-based user clustering algorithm is proposed to reduce interference efficiently in Ultra-Dense Network (UDN). There are two stages, weight design and user clustering. Because a user could interfere and be interfered by other users at the same time, a balanced cooperative transmission strategy is utilized in weight design. The improved LBG algorithm is used for user clustering, which overcomes the shortcoming of local optimum of conventional LBG. Moreover, this algorithm is superior to conventional LBG in computational complexity. Simulation results show that the sum rate of cell-edge users increases a lot compared to the reference algorithm, and the average system throughput gets higher obviously. This work was supported by National Science and Technology Major Project of the Ministry of Science and Technology of China (ZX201703001012-005), National Natural Science Foundation of China (61501371), Shaanxi STA International Cooperation and Exchanges Project (2017KW-011) and the Department of Education Shaanxi Province, China, under Grant 2013JK1023.